Big dreams become big goals. That’s why our mission and our vision are the quintessence of what we are, of something unique and unimitable. All of us at Gasparini are devoted to the satisfaction of our customer, and always take our partners’ and our end user’s advice to heart. We have a 45-year experience but the dinamicity of a startup business, because our main goal is to improve performances and exceed expectations. 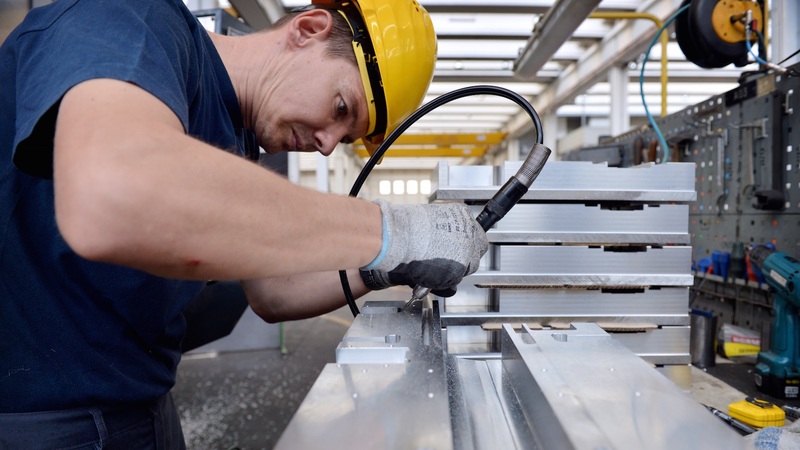 We exist to make bending and cutting sheet metal a quick, precise and reliable process. We try to make our Clients more productive and competitive. We want to be regarded as the most authoritative actor in the sheet metal working sector. We aim to become more and more the point of reference on theory and practice of bending and cutting. For this reason, we invest a lot of effort in the development of new technologies and in the creation of innovative products, in line with Industry 4.0 philosophy and practices. We are committed to always be at the state-of-the-art on press brakes and guillotine shears. We keep our word by providing an unmatched assistance and updating service. On the strength of a time-tested business and supported by a skilled, motivated and close-knit team, we enter the global competition with our heads held high. We are looking for new partners and customers, even in far away areas. We wake up every day proud of being Gasparini, and we switch off the light at night with the reward of having met the expectations.